Writing a shopping list and meal planning is a great way to reduce food waste, but what if your or freezer is not working at it’s full potential and you are storing things incorrectly no amount of planning it going to reduce the waste. 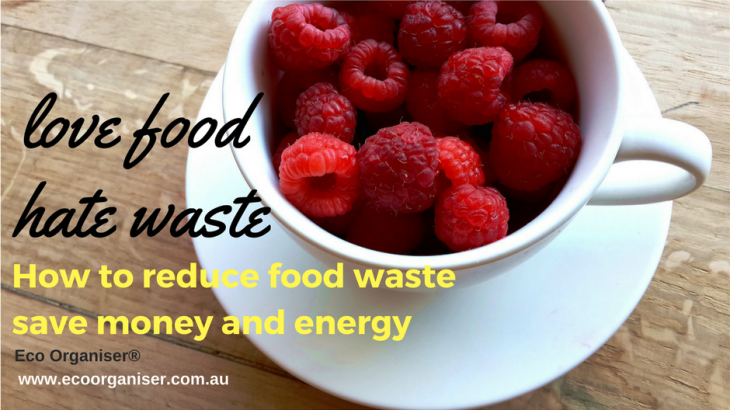 Did you know Australian’s throw away $8 Billion dollars worth of edible food a year? Scary, considering you don’t have to look far for great tips to help you reduce food waste. It’s time for me to fess up, I did not write one of these tips, there’s a great resource that you can tap into called Love Food Hate Waste. It does not matter if you are in Australia, UK or Canada you will find your local Love Food Hate Waste site. Yoghurt can also be used to make icy-poles if portioned into icy-pole moulds or used to create yoghurt based frozen desserts (e.g. yoghurt ice cream). Do store mushrooms in a brown paper bag in your fridge crisper. Plastic will make mushrooms ‘sweat’. Do store soft cheeses in waxed cheese paper or baking paper. Plastic wrap will make the cheese ‘sweat’. Don’t store lettuce with melons, apples, pears, or other such (ethylene gas-emitting) fruits as they will cause the lettuce to turn brown. Don’t store bread in the fridge as it will dry out and go stale faster. Don’t store tomatoes in the fridge as they won’t develop their full flavour. Do keep raw meat in a sealed container or wrapped to avoid contamination with other food types such as salads or vegetables. Home Organising Tips and Tricks Australia, Canada, foodwaste, recycle, reduce, reduce carbon footprint, reuse, storage, United Kingdom. permalink. CLUTTER It’s not my, how do I let others know it is affecting me?